‘A number of prominent saints and monastic settlements are associated with the united dioceses. St Fethlimidh, born around 500AD, is traditionally accepted as having been the first bishop of Kilmore diocese. St Patrick is reputed to have founded the See of Ardagh around 435 AD and appointed his nephew St Mel as its first bishop. Another of St Patrick’s monastic settlements at Elphin was placed in charge of Assicus, a renowned craftsman around 450 AD. In the sixth century, St Mogue of Templeport was strongly linked with the monastic settlement at Drumlane that had been established by St Columba. Around these and other religious centres the early church grew and established itself. 1. The Arms of the United Dioceses of Kilmore, Elphin and Ardagh – Per fesse in chief, argent, on a cross azure a crozier surmounted by a mitre in pale (Kilmore). In base, per pale on dexter side, sable, two croziers endorsed in saltaire or, in base, a lamb couchant, argent (Elphin), and on the sinister side, argent, a cross gules, between twelve trefoils vert, and on a chief azure a key erect (Ardagh). 2. 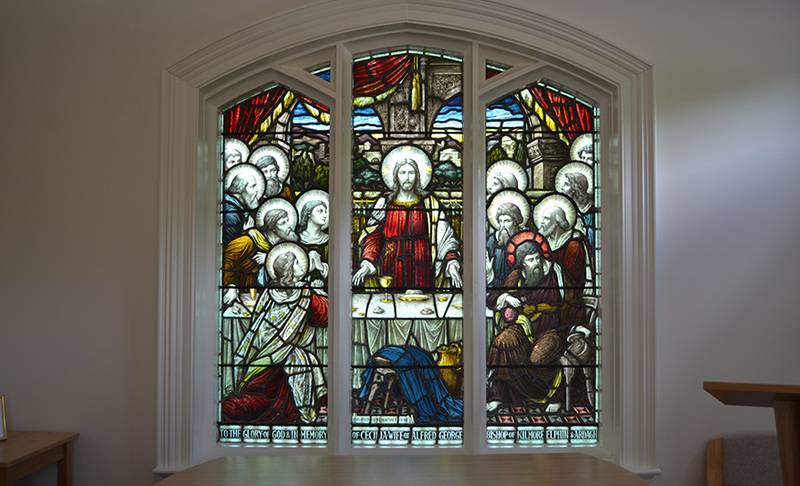 Stained Glass Window – This was in the Chapel of the Old See House and has been incorporated (as can be seen by the photo) in the Chapel of the New See House. 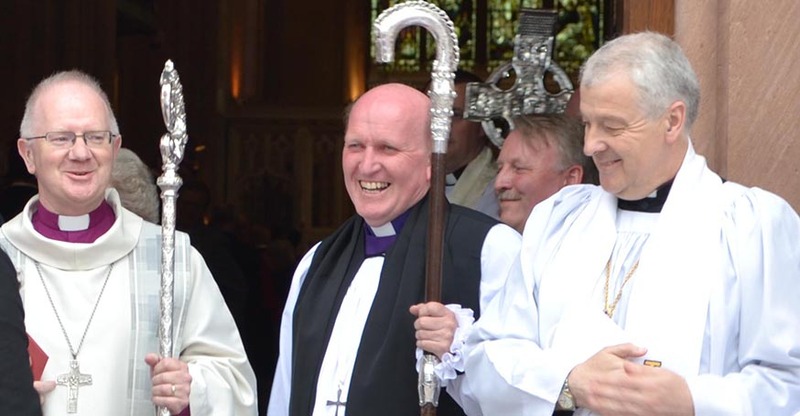 Dublin, The Most Revd. Michael Jackson, at the West Door of Armagh Cathedral following the service. 4. The New See House – This was officially opened on 20th June.